Good Choice Reading: Love is Murder Blog Tour: Excerpt from Hot Note by Patricia Rosemoor! Love is Murder Blog Tour: Excerpt from Hot Note by Patricia Rosemoor! 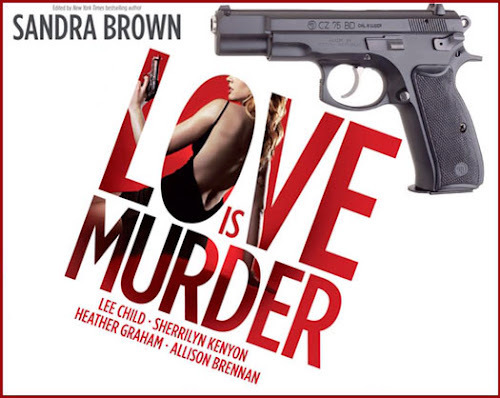 Welcome to our stop on the Love Is Murder tour hosted by BookTrib. Today we bring you an excerpt from HOT NOTE, Patricia Rosemoor's story in the Love is Murder Anthology. Prepare for heart-racing suspense in this original collection by thirty of the hottest bestselling authors and new voices writing romance suspense today.Go on vacation with Allison Brennan's Lucy Kincaid, where she saves a man from drowning, only to discover he is in far greater danger on land. Meet Roxanne St. Claire's "bullet catcher"—bodyguard Donovan Rush—who may have met his match in the sexually charged "Diamond Drop." Debut author William Simon shows us what happens when the granddaughter of the president of the United States is kidnapped. 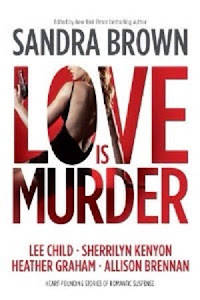 And Lee Child's pitch-perfect "I Heard a Romantic Story" puts a whole new spin on Love Is Murder.Bodyguards, vigilantes, stalkers, serial killers, women (and men!) in jeopardy, cops, thieves, P.I.s, killers—these all-new stories will keep you thrilled and chilled late into the night. With more than six million books in print—eighty-nine novels for Harlequin, Silhouette, HarperCollins, Dell and Del Ray—Patricia Rosemoor still finds new story forms and new characters that excite her. Detective Shelley Caldwell first appeared in Hot Case, a Silhouette Bombshell. Combining her love of thrillers with urban fantasy with romance, Patricia experimented with 1st/3rd person. To her good fortune, she was able to reprise her characters and world in Hot Trick, a Carina Press digital first novel, and in the short story Hot Corpse, also available in digital formats. She was delighted to continue the series with Hot Note. Patricia has received two Career Achievement Awards and two Reviewers’ Choice Best Novel Awards from RT Book Reviews. Her career as an author took off when she won a Golden Heart from Romance Writers of America for Best Young Adult Romance. In her other life, she teaches credit courses—Writing Popular Fiction and Suspense Thriller Writing—in the Fiction Writing Department of Columbia College Chicago. ohhh sooo looking forward to reading this! Love + Suspense = I like! !